UK Prime Minister, Theresa May, is considering offering money to regions with high votes for “leave-vote” in a bid to secure support from Labour MPs for her Brexit deal. 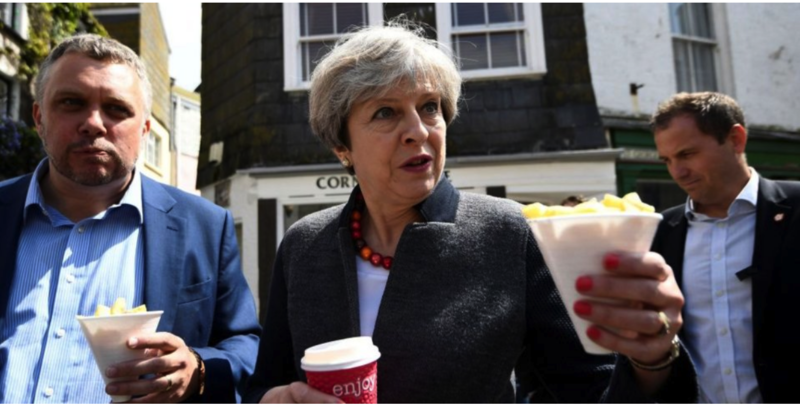 An MP told Business Insider that the prospect of “economic support for towns and seaside villages that predominantly voted leave.” This was at a meeting between government officials and Labour MPs this Wednesday. Theresa May met with Labour Party leader Jeremy Corbyn for talks on the support of some Labour MPs who she believes will push her deal through parliament in February. She suffered a record defeat on her Brexit deal in the Commons earlier in January and has so far looked to win over the support of her Conservative colleagues and DUP partners. But some Tory MPs appear determined to vote against her deal, leading May to court a small band of Labour MPs, many of whom represent Leave-voting constituencies and wish to be seen to deliver on Brexit. A total of 24 Labour MPs defied the party whip in a Brexit vote on Tuesday, either by abstaining or voting against an amendment tabled by Yvette Cooper which sought to prolong Article 50 and delay the threat of a no-deal Brexit. A number of MPs on Labour’s front bench joined the rebellion. However, a spokesperson for Corbyn refused to say on Wednesday whether the individuals would face any disciplinary action, leading to suspicion among other Labour MPs that the leadership is deliberately turning a blind eye in order to facilitate May’s deal passing the Commons. “When I told them I might vote for the May deal two weeks ago, no one said anything, and this week I haven’t heard from the whips at all,” one rebel told the Financial Times. Some Labour MPs suspect Corbyn to be secretly in favour of Brexit, while others believe the leadership simply wish the issue to go away so the party can focus on other issues on which the party and its members are much more united. The prime minister this week announced plans to seek extra concessions on Brussels on workers’ rights in a bid to gather the support of Labour MPs in leave-voting constituencies. Downing Street is holding multiple meetings with backbench Labour MPs regarding protections for workers rights. Officials met with Labour MP Melanie Orr on Wednesday to discuss a private members’ bill regarding workers rights and have also held separate meetings with backbench MPs to discuss possible government support for an amendment tabled by Labour’s John Mann, which aims to protect workers’ rights after Brexit. A Downing Street spokesperson said earlier in January that the Mann amendment it was “something we would consider very seriously” at a Westminster briefing. Downing Street will hold further meetings with backbench Labour MPs today.